Download a copy of my CV here. For an HTML version, please click here. As a social historian and digital humanist, Julia M Gossard researches the history of childhood, especially how children, education, state formation, social reform, gender, and global expansion were intertwined and affected one another during the early modern period in France and her colonies. Julia is an Assistant Professor in the History Department at Utah State University and a Distinguished Professor of Honors Education in the Honors Program at USU. Several organizations and institutions have sponsored Julia’s work. The Society for French Historical Studies awarded Julia the Marjorie M and Lancelot L. Farrar Memorial Award for the best dissertation in progress at a North American university. 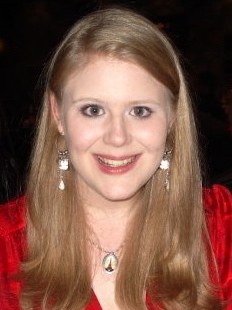 The American Historical Association’s Bernadotte E Schmitt Research Grant, The American Society for Eighteenth-Century Studies, The Newberry Library, the History Department and College of Humanities and Social Sciences at Utah State University, the History Department, and The Graduate School at The University of Texas at Austin have also underwritten her research. In 2015-2016 Julia was an Institute for Historical Studies Postdoctoral Research Fellow. During this year she wrote the book manuscript (“Coercing Children”) of her dissertation “Reforming Children: The Pedagogy, Commerce, and Politics of Childhood in the Early Modern French World.” Her pioneering investigation in the use of childhood as a central category for historical analysis reconfigures the history of childhood in early modern France by considering children as actors as well as subjects. Visit her Research page to learn more about her research and publications. Dr. Gossard teaches early modern and modern European, Atlantic, and world history at Utah State University. She offers undergraduate survey courses as well as upper division and graduate courses with a special focus on social history, especially childhood, gender, family history, education, and social reform. In Fall 2017, Julia is teaching The Foundations of Western Civilization: Modern, 1750-2001 (undergraduate survey course) and Revolution! : Reacting to Atlantic Revolutions, 1763-1815 (Honors First Year Experiential Learning course). To find out more about these courses, her other courses, her innovations in pedagogy (especially digital humanities), and her teaching philosophy, please visit her Teaching page. Julia attended Southern Methodist University (SMU) in Dallas, Texas where she earned a Bachelor’s of Arts in History with Honors in the Liberal Arts and Departmental Distinction in History. During her time at SMU she studied abroad at their campus in Paris, France for a year to perfect her French, hone her history knowledge, and embark on archival research. Since graduating in 2008 she has served as SMU-in-Paris’s Assistant Director and Program Assistant, making her a study abroad specialist. Entering The University of Texas at Austin’s History Department in Fall 2009 with a fully funded recruitment package she earned her Master’s of Arts Degree in History in 2011. With the enthusiastic endorsement of all committee members, in August 2015 Julia was awarded her PhD in History. Teaching Fields: Early Modern Europe & World (proficient in Medieval & Modern as well); French History; Social History; History of Childhood, Children, & Youth; Gender & Sexuality; History of Education; History of Social Reform; Early Modern European State-Building; History of Commodities & Exchanges; Economic History; Labor History; Renaissance/Reformation; Tudor & Stuart England; Age of Revolutions; Atlantic History. She is also capable and prepared to teach on many other topics of cultural, political, and economic history in the early modern era. Julia is committed to incorporating and experimenting with pedagogical innovations in her teaching, especially digital humanities. “Review: Ritual and Conflict: The Social Relations of Childbirth in Early Modern England,” The Sixteenth Century Journal, Volume XLV, No. 4 (Winter 2014). “Review: The Government of Childhood: Discourse, Power, and Subjectivity,” Journal for the History of Childhood and Youth, Volume 9, No. 1 (Winter 2016).